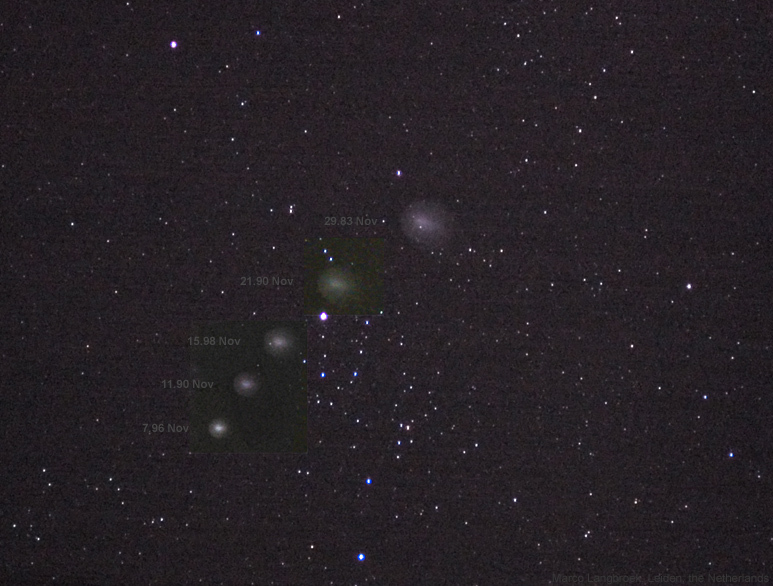 Yesterday evening saw a period with clearings, which allowed me to photograph comet 17P/Holmes again. 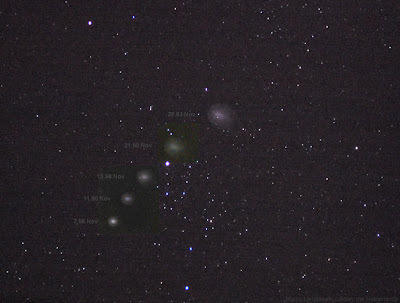 It is still visible by the naked eye, but less easy than 2 weeks ago (but still easier than M31). It is large now, going towards a degree (I measured a coma diameter of 50'). 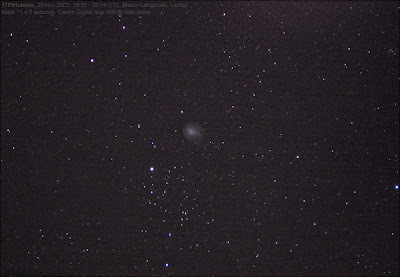 Below is a stack of 71 images of 5 seconds each with my Canon Digital Ixus 400 pocket camera on fixed tripod, and the lens on maximum zoom (3x). 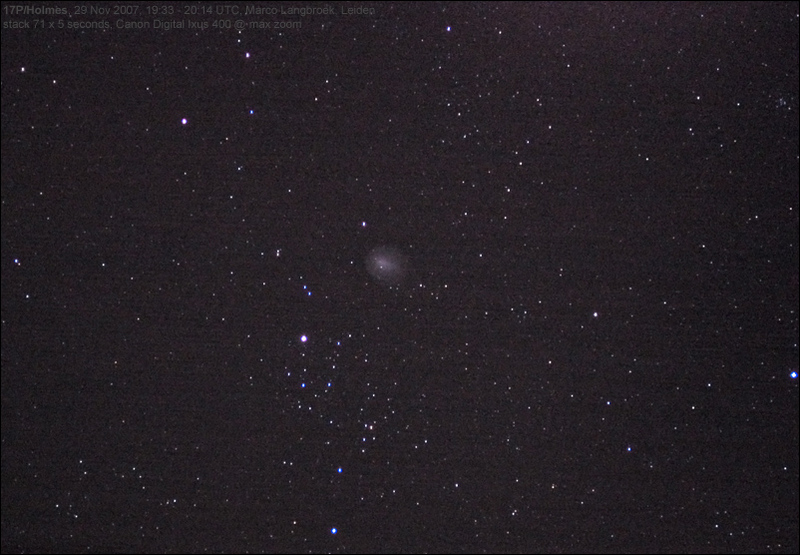 It was still clouded during the LEO satellite visibility window, alas.